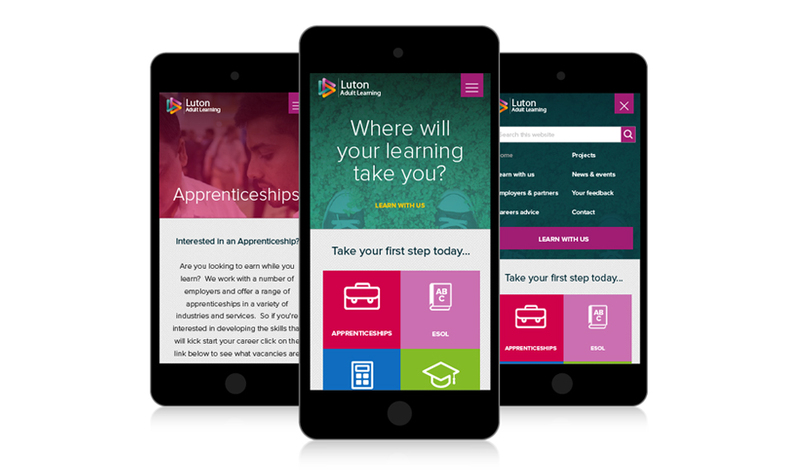 Melon recently completed work on the new web design for Luton Adult Learning. The website has simplified the previous website architecture, ensuring students from a diverse range of backgrounds, for many of which English is a second language can easily navigate the content and find the information they need. To further enhance this usability an icon and colour coding system, in line with the existing branding has been introduced. Additionally Google translation tools and text only versions with resizing tools have been used to ensure maximum usability and DDA Compliance. The website features responsive layouts to ensure engagement across all platforms and devices. It was critical that the client was able to maintain and add new content to the website. As such the Engine CMS system was used, which even enabled the client to populate all the website content from a single CMS training session.